Dr. Boris Worm is a world renowned marine ecologist and professor of marine conservation biology at Dalhousie University in Halifax, Nova Scotia. 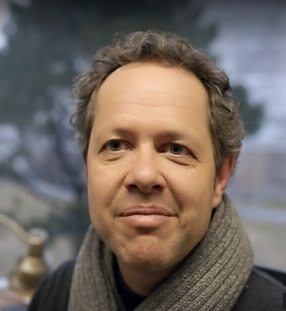 Co-author or primary author of more than 100 articles in leading science journals, he has made a significant contribution to the scientific understanding of marine biodiversity and conservation, and he is also well known for his commitment to spreading public awareness about marine environmental issues and their solutions. When we first met Dr. Worm, he and his colleagues at Dalhousie University had been developing algorithms to monitor fishing activity using AIS data. Collaboration became a natural fit as we recognized the opportunity to combine Google’s large data processing capacity with the scientific expertise of Dr. Worm and his colleagues, graduate student Kristina Boerder and post-doctoral researcher Erico De Souza. The team is now working with Global Fishing Watch engineers to develop algorithms that both identify different types of fishing vessels and quantify fishing activity. In April, these collaborative efforts led to a paper titled “Ending Hide and Seek at Sea,” which was published in Science and is co-authored by a team of researchers including Dr. Worm, Doug McCauley of U.C. Santa Barbara, our Chief Technology Officer, Paul Woods and others. In early May, 2016, we sat down with Dr. Worm to discuss his work and the importance of understanding fishing activity on the oceans. Watch a short video of our interview and read more from Dr. Worm below. What has inspired you to make a career of studying the oceans? I would say at the most fundamental level, there is a profound sense of discovery. Because we know so little about the ocean. The further off the coast we look—and the deeper we dive—the less we know. When we get into the middle of the ocean, and into in the deep sea, our knowledge is very poor. When we study fundamental patterns of where species are, and where we humans are, and how we interact, almost everything we learn is new. And the second motivation for me came from studying species in the ocean as I realized just how profoundly many of them are impacted by us and how unaware we are of that impact. Because they are far from where we live, it’s “out of sight out of mind.” It became somewhat of a conviction to make that visible to people, to make sure we are not forgetting about it. Can you give me an example of how you have experienced this profound sense of discovery? We had paper out in Nature this month that shows for the first time the global pattern of biodiversity in the deep sea. This is something very fundamental that we didn’t know. The paper is a painstaking compilation of 165,000 records of brittle stars, a relative of sea stars. They’re a good indicator for patterns of biodiversity because in the deep sea, they are as omnipresent as ants are on land. They’re found in almost every sample. We see that some areas have a lot of species and others have fewer. The surprise was that the pattern is fundamentally different from anything we’ve seen on land or on the coastal oceans where diversity tends to increase towards the tropics. Think about rainforests and coral reefs. In the deep sea it’s actually in more temperate latitudes that we see more species. The reason is that these areas have strong seasonal peaks in productivity—so called plankton blooms—that rain down into the deep sea. We call this material marine snow, and it feeds deep sea species and fuels the process of evolution itself. That’s why you have so many species down there at latitudes around 40-50 degrees north, but it doesn’t happen the same way in the tropics. It is discoveries like this that really motivate me. You look at the map that we just created from those data and you understand that nobody has ever seen this. You are the first person in the world who sees this pattern, and that’s exciting. At the same time you realize how large our impact on the deep sea already is, for example by some forms of fishing, oil and gas extraction or proposed mining. So this knowledge is sorely needed to understand impacts of such human uses on biodiversity. Biodiversity is a major element of your work. How does understanding fishing behavior help you understand biodiversity in the oceans? One of the major drivers of biodiversity today is human impact, fishing being the longest-standing and probably the most direct impact we have on marine biodiversity – simply by taking an estimated 100 million tonnes of animals out of the water every year. It always struck me that we are unable to do something as simple as quantifying where most of the fishing takes place—not only on the deep sea, but also throughout most of the world. We know the broad areas, but we can’t pinpoint the locations, and we can’t quantify the number of boats that are engaged in this. It’s almost like trying to manage a forest without being able to count the trees or the logging trucks. As an ecologist, I am also really interested predator prey relationships. Without really being able to track the predator very well, or the prey for that matter, this amounts to highly educated guesswork. 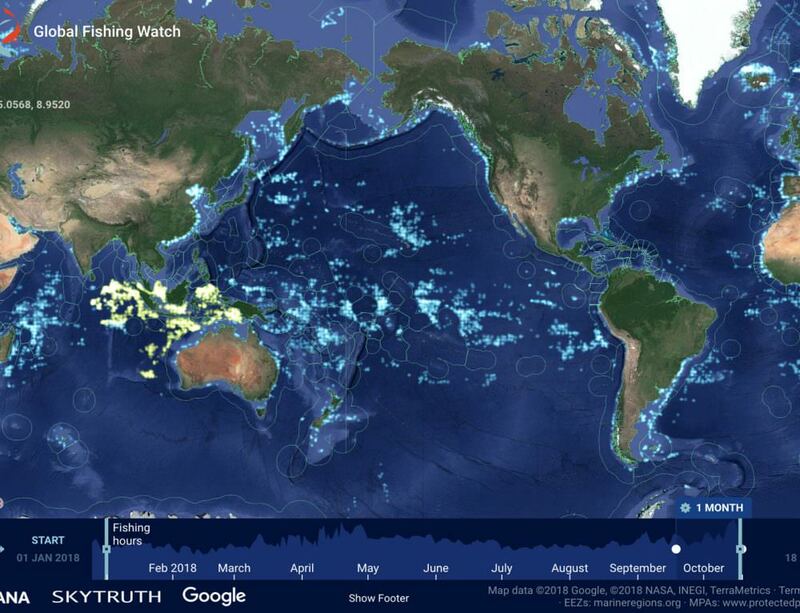 Global Fishing Watch now opens a new possibility for doing away with the guesswork and replacing it by hard data. 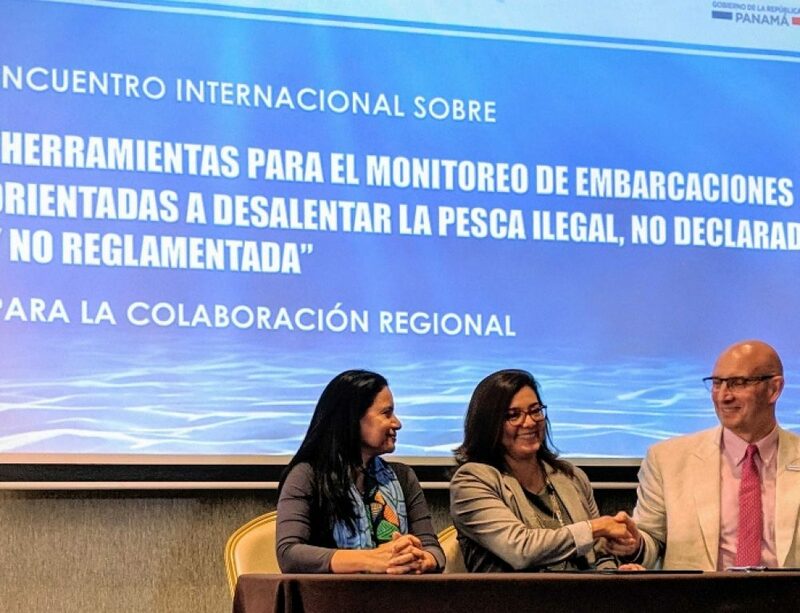 It could be a game changer purely from a scientific point of view, for understanding our effects on the oceans, and also for proper management and enforcement. In addition to using Global Fishing Watch as a tool in your research, you are helping develop it from an ecologist’s perspective. Yes, in order to do this well, you need to be able to distinguish where and when vessels are actually fishing, as opposed to being inactive, or steaming or searching for fish. You have to essentially understand their fine-scale behavior. As ecologists we do that for other predators all the time. We have models that are designed to digest information from tracking other species such as sharks or tuna. All of a sudden we have the same kind of tracking information for people. Ecologists are happy to have ten tags on sharks or 100 tags on tuna, but here we have more than 60,000 tags on fishing vessels reporting every few seconds, every day. Understanding the complexity of such a dataset and really extracting meaningful information on where the fishing locations are creates a big challenge. So there’s a lot of research and development going into that. What do you hope the public can gain from a better understanding of fishing on the oceans? By making fishing activities transparent to everybody, I think it’s a lot more powerful than just telling everybody there’s a lot of fishing going on. When I can actually see the map and explore the interactions, I can see individual fishing vessels circumnavigating the globe on a single fishing trip. That creates a different image of the scale of these operations, the scale of our impact. Of course, we’ll always have an impact, and I’m not against fishing. We just have to be aware of what we’re doing and then do it in a way that’s not too damaging. We need to be able to feed ourselves into the future without damaging the food production system itself. Is there anything you would like to add to our discussion today? Global Fishing Watch is focused on fishing now, but I want to say that the opportunity we have with AIS data is even greater, because not only can we track fishing, we can track other human uses of the ocean just as well. We can track shipping. We can potentially track mining, oil and gas activity and so on. You just have to understand the behavior of those specific vessels and then map it out. So, are you saying we should expand our reach from Global Fishing Watch to Global Ocean Watch?